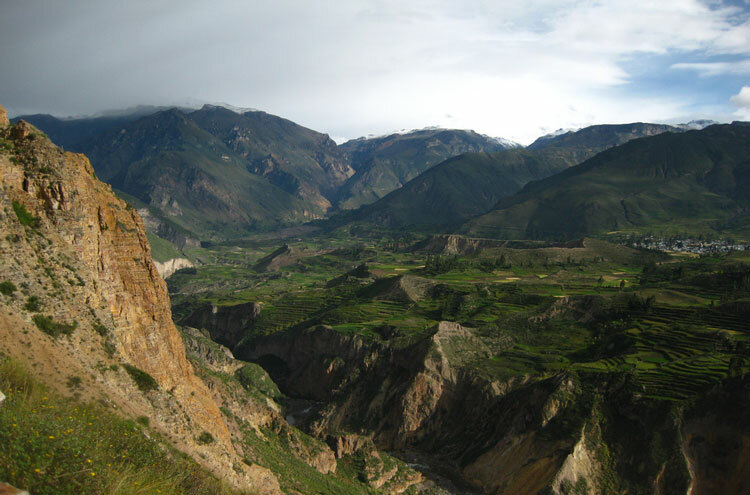 The Arequipa region in southern Peru is host to some truly astounding geological and geographical formations, not least the Cotahuasi and Colca Canyons. 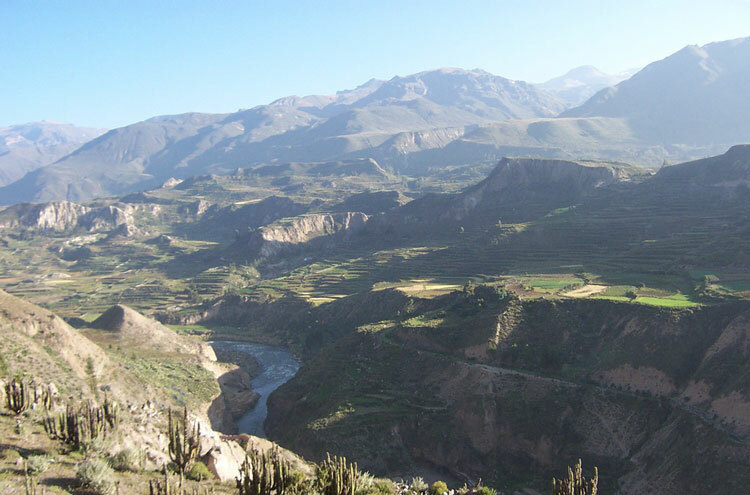 These are claimed to be the two deepest canyons in the world, each over twice the depth of the USA's Grand Canyon and fine specimen of Arequipa's lava-sculpted topography. 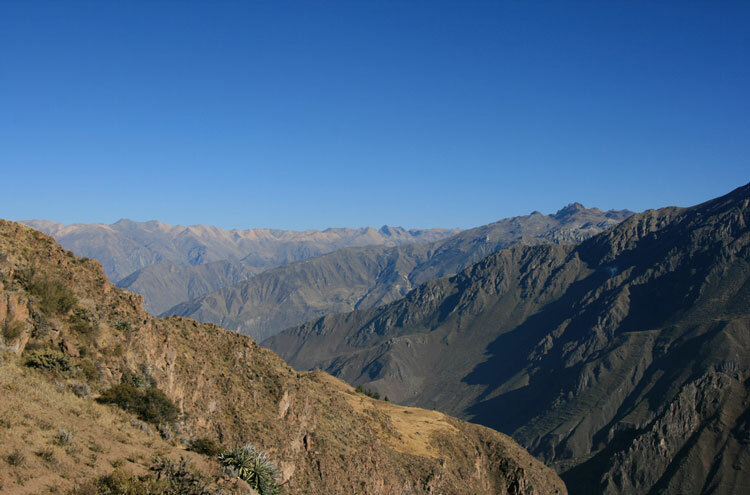 Independently stunning, the Colca is famed for the huge Andean condors flying high above it; Cotahuasi mixes glaciers with hot spas, juxtaposes millennia-old rock carvings and Spanish gold mines. With each canyon already over 3,000m deep, indomitable mountains can hoist this altitude to nearer 5,000m - and startlingly quickly. The altitude can become a real problem, so come prepared. 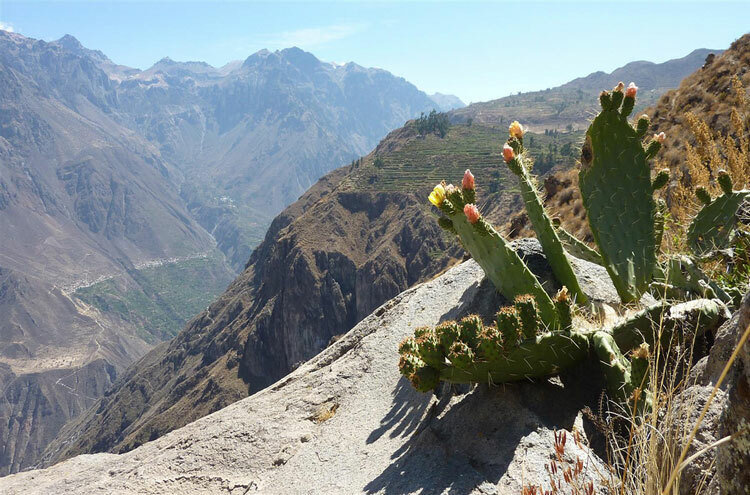 The Cotahuasi and Colca canyons incise deep tracks into Arequipa's arid, altitudinous plateau. 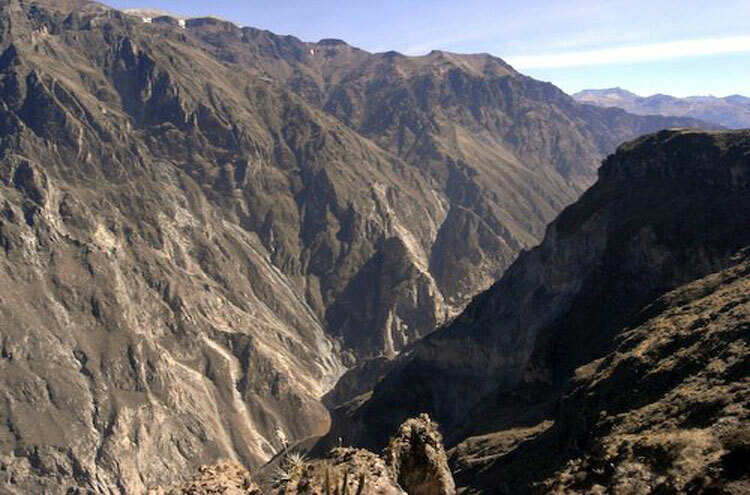 They are claimed to be the two deepest canyons in the world, each over twice the depth of the USA's Grand Canyon (although much depends on how you measure canyon depth, a theological and partisan subject), with Cotahuasi having stolen the Colca's prestige in that regard only recently and amidst much wrangle and debate. 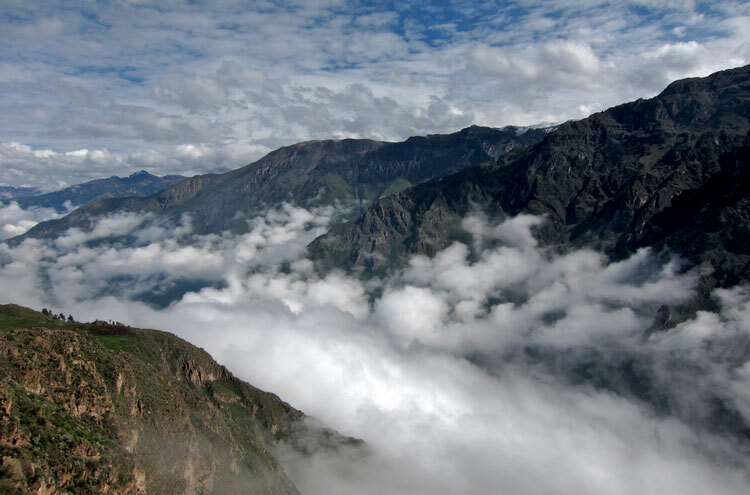 Volcanic activity from past millennia inscribes huge swathes of Peru's interior. Now, lava-sculpted plains lie high above the riverbeds, against a backdrop of Peru's Andean goliaths. It is through these majestic interior pampas that the respective canyons cut, slicing down through the lava-moulded topography. Trekking down into these astounding canyons penetrates a dramatic, desert wilderness. 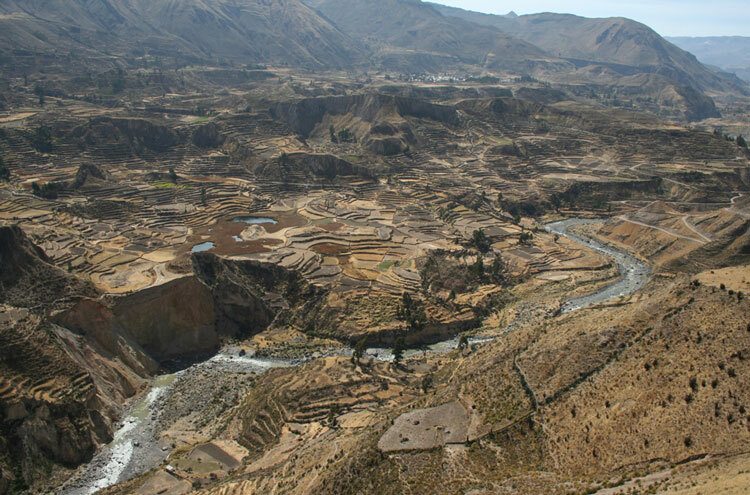 Their dry, steep walls exhibit improbable Inca terracing in areas, scattering what might otherwise pass for moonscape with flashes of colour and history. 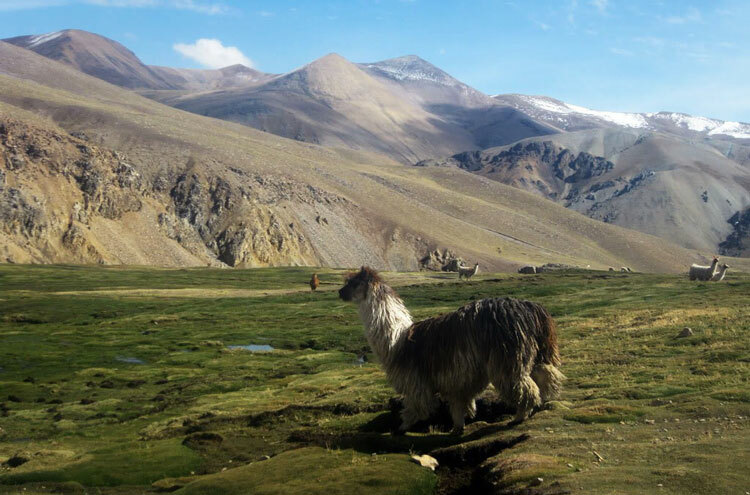 Pass amidst dazzling rivers and arid tracts of Andean desert, and through a host of microclimates; from lush, implausible oases in the deepest canyon, to snowfall brought on by the land's relief, much higher up. Looming mountains abut and continue the canyons' precipitous walls, sending potential walking altitude careering upwards. 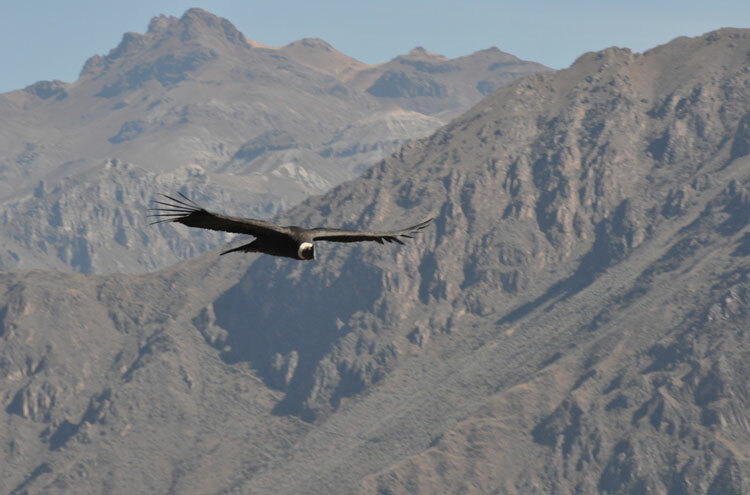 Use these to get level with the huge Andean Condors riding thermals high above. Arequipa in southwestern Peru runs the whole gamut of pacific coastal resorts and port towns, through to the soaring Andean Peaks that make up South America's spine. Its diversity, therefore, inevitably gives rise to the fantastic and fantastical. Rivers dissect the volcanic lava that moulded these plateaus, and many more canyons provide an incredible contrast to the heights of plateau and mountain. Volcanic cones puncture the skyline, geysers punctuate its scale and serenity. Along Arequipa's pacific border, smaller plateaus and dunes dot microcosms of their grand inland cousins onto the regions coastline. In the province of Castilla, by the town of Corire, is Toro Muerto: 3,000 petroglyphs chronicle Perus human heritage. Near Andaguas: the Valley of Volcanoes, with almost 100 dramatic cones dominating the landscape.